Standby, ready, Light cue go! : Ballet San Jose principal dancer, Alexsandra Meijer, calls the Summer Intensive Show. Although it may seem intimidating, it is all about the process. And at the end of it all, “Houselights restored” means that we have survived! Job well done principal ballerina, Alexsandra Meijer. to half," "Light cue 0.7 go." characters, lights and the ensuing commotion was a bit intimidating. New York. Presently, he is the Artistic Director of Ballet San Jose! We wish José the best and are waiting to hear the good news from his trip. you.” One can learn and become a better person every day. Photo by Ballet San Jose. Ballet San Jose’s James Kopecky began studying ballet in order to help himself breathe. Kopecky was promoted to the Corps de Ballet in 2011. 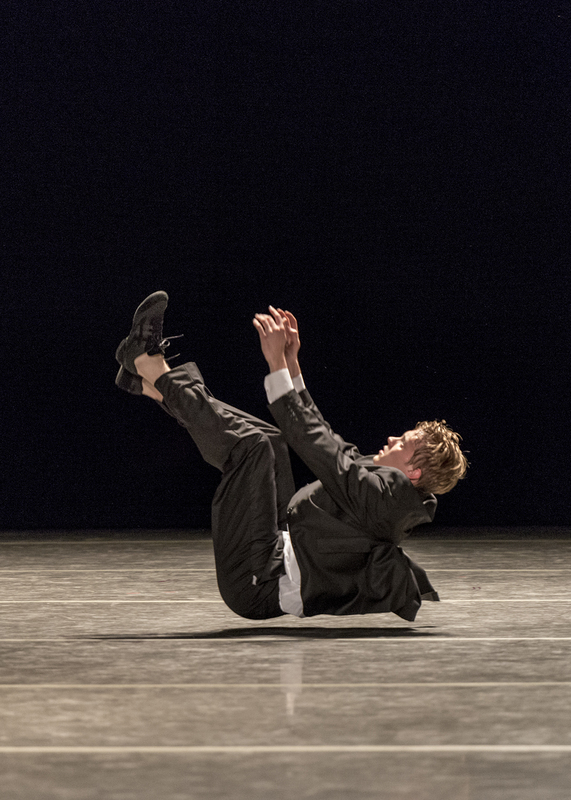 James Kopecky in Ohad Naharin’s Minus 16. Photo by Alejandro Gomez. So far, Kopecky’s favorite role has been his twenty-minute, improvisational solo during Ballet San Jose’s 2014 performance of Ohad Naharin’s Minus 16. The Isaeli choreographer is renowned for creating a dance language known as “gaga.” Kopecky found the form especially appealing because, for him, it broke down the barrier between the audience and the dancer. And as for Kopecky’s plans for the future? Ballet San Jose‘s Joshua Seibel has some strong advice for young dancers: never let anyone tell you what you can’t do. Seibel should know. Years of ear trouble—and multiple surgeries—have left Seibel mostly deaf. “People probably don’t realize I should technically be wearing hearing aids,” he says. But Seibel’s partial deafness hasn’t stopped him from dancing. This season, he was even promoted to soloist at Ballet San Jose. Alexsandra Meijer and Joshua Seibel. Photo by Quinn Wharton. In 2008, however, Seibel discovered that he needed ear surgery. Recovery was challenging. At one point, he was even told that he would never dance again. But after yet more surgery prevented him from attending basic training, Seibel took extra time off to decide what he really wanted to do with his life. “Then, one day, I saw my friends perform at Ballet Arizona,” he says. “That was that.” Seibel called Dennis Nahat, the former artistic director of Ballet San Jose, who’d offered him a position in the past. Seibel joined Ballet San Jose as an apprentice in 2010. 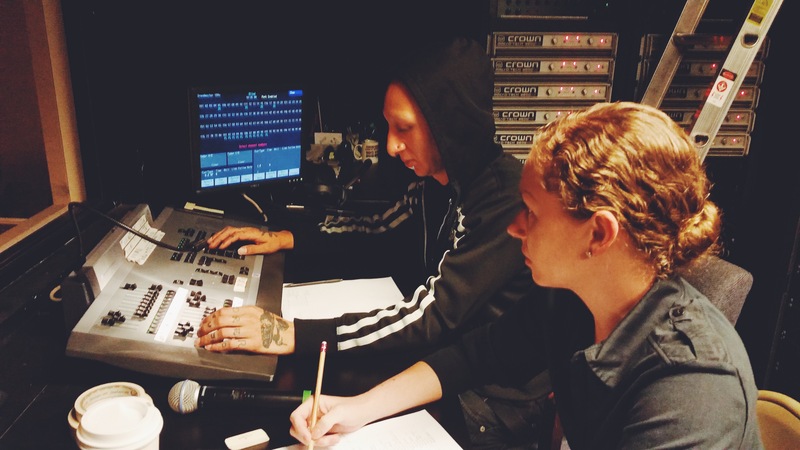 “It was a huge accomplishment for me to make it back to the studio,” he says. This year, Seibel has danced the roles of a stomper in In The Upper Room and a sailor in Fancy Free. 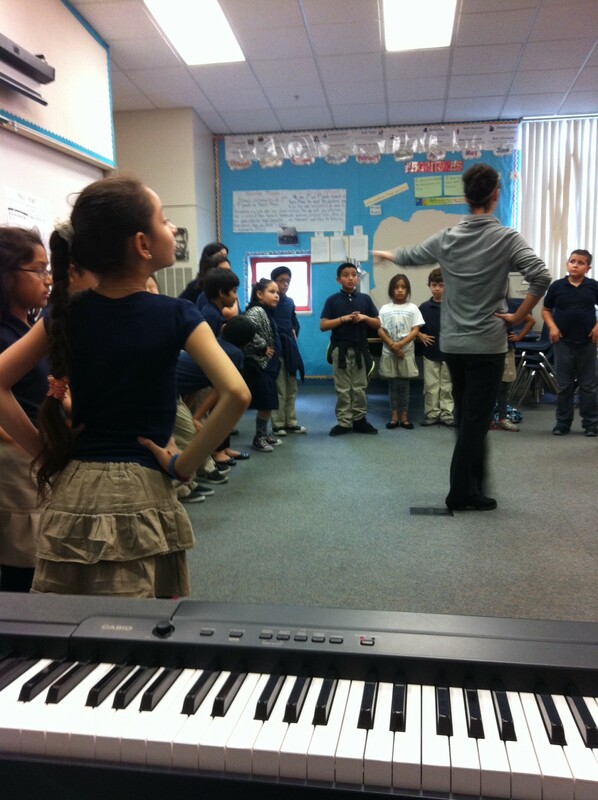 “Who wants to play an instrument?” Clifford Rawson asks a group of East San Jose second graders. Hands shoot up around the room. A few minutes later, the children are experimenting with Rawson’s electric piano. A few minutes after that, they’re trying out their first pliés. Beth Ann Namey teaching a group of Outreach students about ballet. Photo courtesy of Ballet San Jose. Amy Marie Briones is truly a home-grown talent. Briones grew up in San Mateo, where she attended the Ayako School of Ballet until she joined Ballet San Jose in 2006. She was only sixteen at the time. Amy Marie Briones in Dwight Rhoden’s Evermore. Photo by Alejandro Gomez. As we closed the curtain on last weekend’s MasterPieces performance, the Ballet San Jose Company was glowing at their achievement, and the feeling was clearly contagious. Reflecting on their success, here are a few thoughts about the performance from our reviewers. The company threw themselves into that electrifying work with great style and daring – a triumph from start to finish. Maykel Solas, Alexsandra Meijer, and Amy Marie Briones in Twyla Tharp’s In the Upper Room. Photo courtesy of Ballet San Jose. How DO we make all that fog? After an acclaimed Nutcracker, our dancers are back in the studios rehearsing for our first program of 2015, MasterPieces. This week we are joined by Stacy Caddell, who is working with our dancers to stage George Balanchine’s Theme and Variations along with Sandra Jennings, also back in the studios since December. The ballet along with the company premiere of Jerome Robbins’ Fancy Free and the return of Twyla Tharp’s In the Upper Room make up the MasterPieces program, which will be performed on February 20-22 at the San Jose Center for the Performing Arts. These three works truly live up to the title of MasterPieces, and we are thrilled to be presenting this exquisite and diverse program. Keep reading to learn more about Stacy Caddell. For tickets to see MasterPieces, visit the Ballet San Jose website. Tickets start at only $25! Stacy Caddell was born in Norfolk, Virginia where she began her dance training at the age of five. She attended the School of American Ballet and joined New York City Ballet at the invitation of George Balanchine in 1980. In 1991, Caddell joined Twyla Tharp’s company. She later toured with Tharp and Mikhail Baryshnikov in the full evening production of Cutting Up. After retiring from the stage, Caddell assisted Tharp at American Ballet Theatre on Known by Heart and at New York City Ballet on Beethoven’s Seventh. From 2002-2005, she served as Dance Supervisor for Tharp’s Tony Award winning Broadway show Movin’ Out. Caddell’s choreographic credits include the HBO series The Sopranos, the opera Aida for the Todi Festival in Virginia, and a ballet, our special waltz, for Ballet Academy East where she is a permanent guest faculty member. Caddell is currently a repetiteur and travels internationally to stage the works of Twyla Tharp and George Balanchine for Twyla Tharp and the George Balanchine Trust respectively. After living and working in three different countries, principal dancer Ommi Pipit-Suksun has finally found a home at Ballet San Jose. Ballet San Jose Principal Dancer Ommi Pipit-Suksun and Soloist Rudy Candia. Photo by Robert Reed.